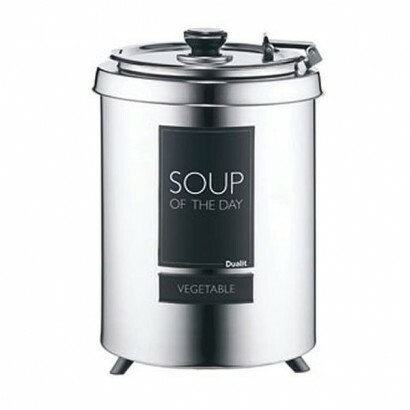 The Dualit CE383 Soup Kettle is a 6 litre wet heat counter top soup kettle ideal for serving soup, c.. 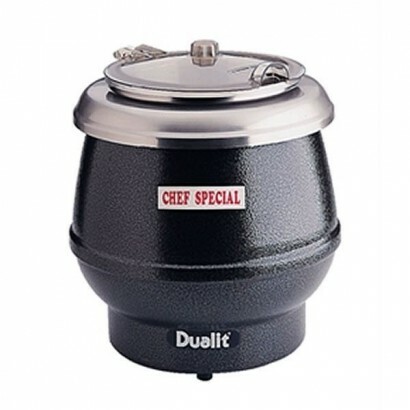 The Dualit 10 litre soup kettle comes with a seamless stainless steel inner liner, wet heat operatio.. 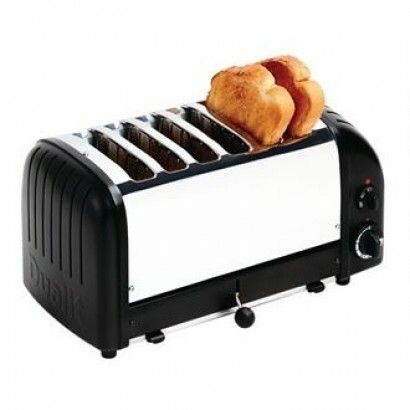 This 6 slice toaster from Dualit is finished in 4 stylish colours and designed for use in a commerci.. 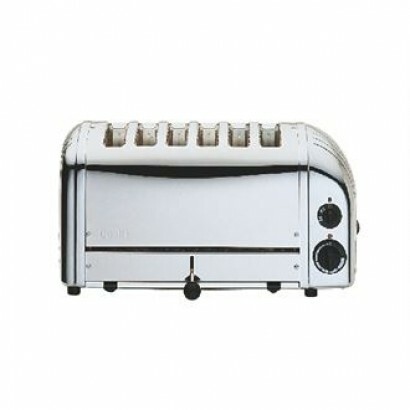 This 6 slice stainless steel toaster from Dualit is designed for use in a commercial catering establ.. 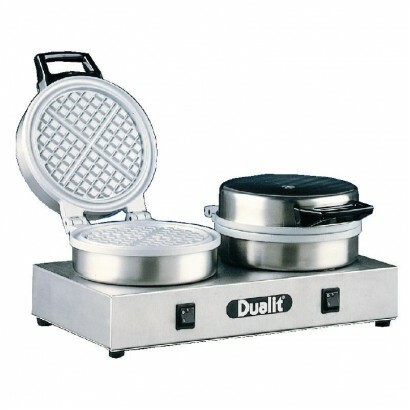 The highly professional Dualit Double Waffle Iron 74002 has the ability to make 2 rounds of perfectl.. 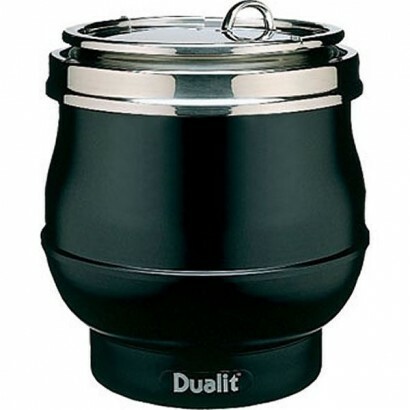 Ideal for front of house service with a large 11 litre capacity and satin black finish the Dualit J4.. 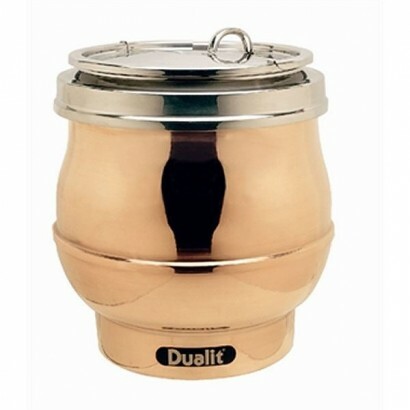 The eye-catching copper Dualit Counter Top Soup Kettle has a 11 litre capacity with stainless steel ..